If you’ve never been to an actual real estate auction, it’s hard to really understand how it works and it’s especially difficult to understand the need. Whether you are auctioning off your property or equipment, it’s important to use an experienced real estate auctioneer. Why do we say this? If you enjoy getting money back into your pocket, you’ll enjoy an experienced auctioneer. Do you really want an OB doctor delivering your baby if they aren’t passionate about their job? No, of course not! Do you really want to pay to listen to a singer if they don’t enjoy belting it out? No! Passion is what brings the money in and sells your property. 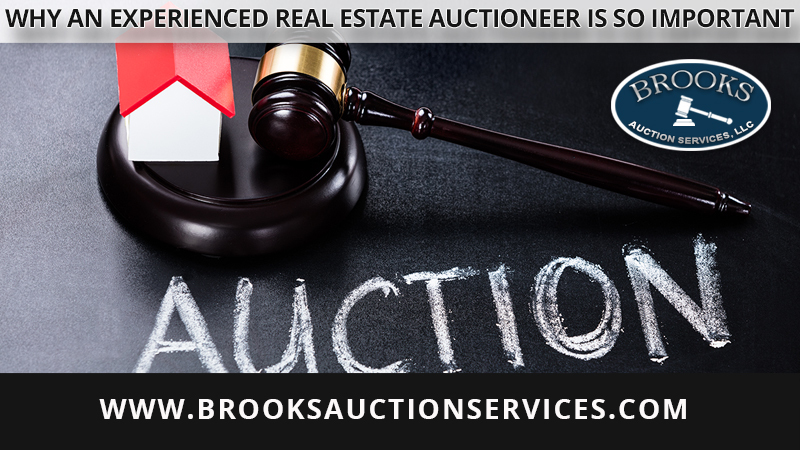 At Brooks Auction Services, we only have passionate, excited auctioneers who are experienced in the real estate market and understand the underlying goal. Our experienced real estate auctioneers understand how to interact with potential sellers and can drive those prices up even above your expected price in some cases. Read more about Reasons To Choose A Real Estate Auction. While we can talk all day about passion and experience, it gets us nowhere without talking about the dollar bills. A study once voiced that with the right auctioneer, your items can sell anywhere from 15-50% higher than if you were to do it on your own! Talk about more bang for your buck! After all, the goal is to ultimately raise the price of your property and sell, sell, sell. Having an auctioneer will definitely raise the bar! At Brooks Auction Services, we never send any auctioneer out to your site unless we know that they can do an excellent job. Our auctioneers are not only trained in general but they do their own research before showing up. Glen Brooks has earned the CAI designation. We make it a point to understand exactly what we are selling and the latest trends within the market. We will highlight the positives and encourage the sellers in a respectful, fun atmosphere. We can handle all types and formats for real estate auctioneering. From single seller homes to multiple property options and anything in between, our real estate auctioneers are ready to make you money. Before we ever start an auction, we will have a strategic meeting and discuss our best strategies and offer suggestions. Whether you are looking to start off with or without a reserve or minimum bid, we have got the right real estate auctioneers to help you do it. For North Carolina, South Carolina, and Georgia auctions, choose Brooks Auction Services as your experienced real estate auctioneer. For more information, call us today at 864-379-1011 or send us an email.